This page will assist you in determining your local fire station as part of the installation of your Knox Rapid Entry device. For information on the installation requirements and ordering of a Knox Rapid Entry device, refer to VCFD Standard 506 . The devices ordered will be shipped directly to you from the Knox Company. Depending on the type of device ordered, it will arrive either locked or unlocked. 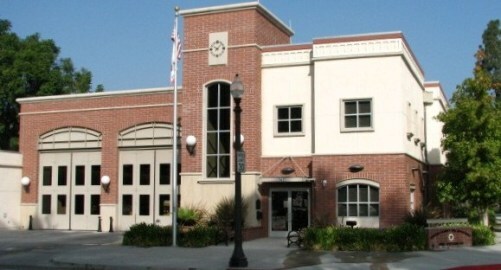 These devices are keyed specifically to the Ventura County Fire Department and only select units within the Department are supplied with the necessary keys. Follow the installation directions included with the device. Once you are ready to place the device into service, you will need to contact your local fire station and request their assistance in locking the device. This process allows for the strict control of the keys as well as notifying the emergency crews of new devices in their response sector. 1. Select the City in which you are installing the Knox device. If your project is located outside City limits, select "Unincorporated". 2. Select the name of the street on which your project is located. 3. Select the steet address where you are installing the Knox device. Note: If you are installing the device on a vehicle access gate serving multiple structures, use the address of the nearest structure. 4. Note the Station number listed next to the street address. 5. Call (805) 371-1111 and enter the two-digit Station number obtained in step 4 when prompted. 6. Advise the station personnel you are requesting assistance locking a Knox device and provide them with your project address and contact phone number. If you need additional assistance, please contact the Fire Prevention Bureau at (805) 389-9738.